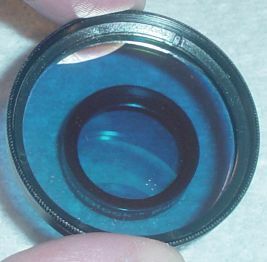 If you peruse posts on Cloudy Nights and other forums on the web, you’ll find claims that narrowband filters don’t work well with small scopes, that you need at least 8 inches (or 10 inches, or 12 inches…) of aperture to get any benefit from them. I’ve never agreed, having used the UltraBlock to advantage with my 4.25 inch (108mm) Newtonian to see through local light pollution. Recently, I put this hypothesis to the test with my 4.25 inch (108mm) Newtonian on a night with particularly bad haze and light pollution. 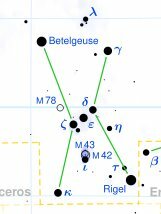 It was a night on which 3rd magnitude stars were hard to see. I found that planetary nebulas which were invisible in the 4.25 inch showed up relatively clearly using the UltraBlock. So as far as I can tell, you can use the UltraBlock filter to help you see through light pollution just as effectively with small apertures as with large. Here are the details…. 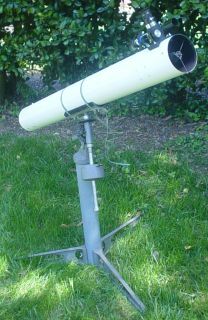 The Orion UltraBlock is a narrowband filter intended to improve the contrast on emission nebulas. It does this by letting through the hydrogen-beta and ionized oxygen light frequencies common to emission nebulas and blocking other light frequencies, including most common sources of light pollution. 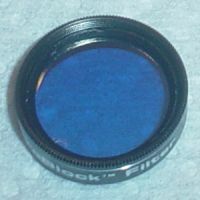 The UltraBlock filter gets good reviews on Cloudy Nights, but there are often comments on the forums that while it works well in dark skies, it doesn’t perform so well with heavy light pollution. 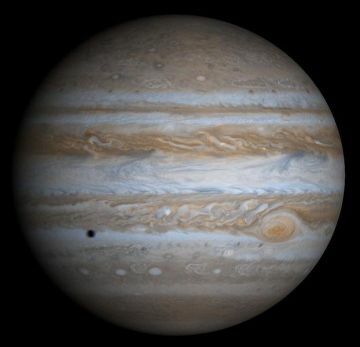 There are basically two kinds of astronomical filters: color filters primarily intended for use on planets (although they have some other uses), and used primarily to enhance contrast on certain kinds of nebulas. Nebula filters can help in seeing through light pollution. Color filters do not.